The 2018 International Opera Awards were held at the London Coliseum on Monday 9 April 2018, celebrating significant achievements in the world of opera. Hosted by Petroc Trelawney and directed by Ella Marchment (herself a recipient of in International Opera Awards Bursary). The evening featured live performance from the Orpheus Sinfonia, conductor Oliver Gooch, with a chorus made up of past and current International Opera Awards Bursary recipients. The chorus and orchestra opened proceedings with ‘Wach’ auf, es nahet gen den Tag’ from Wagner’s Die Meistersinger and during the evening soprano Anush Hovhannisyan sang music from Rossini’s Semiramide, soprano Anne-Sophie Duprels sang music from Mascagni’s Iris, mezzo-soprano Wallis Giunta sang music from Johann Strauss’s Die Fledermaus, baritone Gordon Bintner sang music from Donizetti’s Don Pasquale, bass-baritone Brindley Sherratt sang music from Verdi’s Simon Boccanegra, and soprano Camilla Tilling sang music from Gluck’s Orfeo ed Euridice. Noah Mosley conducted his own A History of Opera in 4 minutes, an enjoyable and imaginative whisk through 400 years of opera, my favourite section being Tristan spliced with the Can-Can from Offenbach's Orpheus in the Underworld then slipping directly into Carmen. The evening was brought to a close with the ‘Make our Garden Grow’ from Leonard Bernstein’s Candide with Toby Spence as Candide and Sky Ingram as Cunegonde. 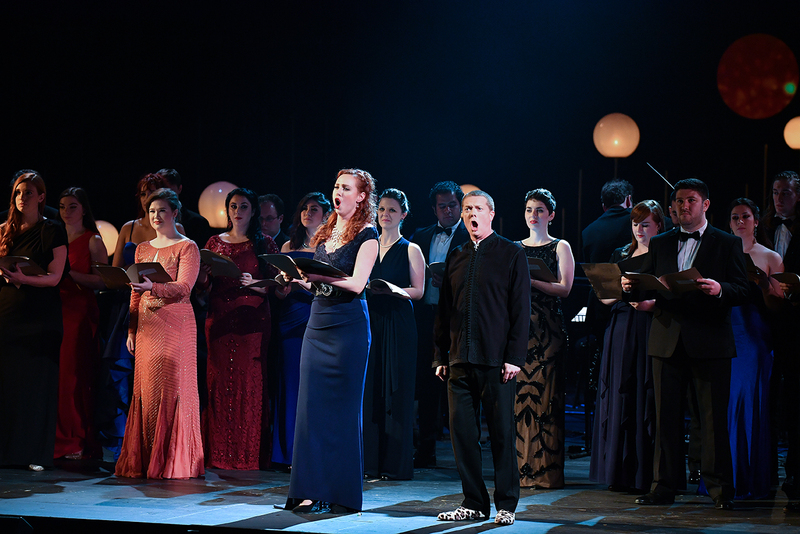 The awards were highly international, with finalists from all over the globe and a jury of near 30 people, chaired by John Allison (editor of Opera magazine). Quite how they made their decisions I don't know, when faced with so many companies and artists deserving recognition. As an example of the sort of problems faced by the judges, the Opera Company Award included Bavarian State Opera, La Fenice, Lyric Opera of Chicago, Opera Graz, Opera North and Teatro Real (Madrid) in the finalists, companies who vary in size enormously, how on earth do you begin to compare Bavarian State Opera (the winner) to Opera North! 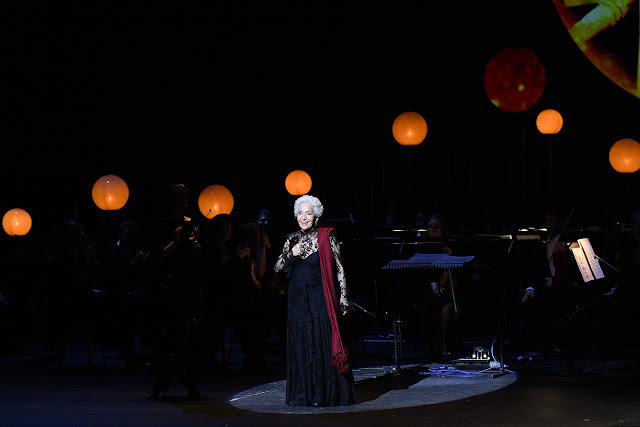 The Lifetime Achievement Award, presented by Sir Jeremy Isaacs (former director of the Royal Opera), went to the Spanish mezzo-soprano Teresa Berganza. 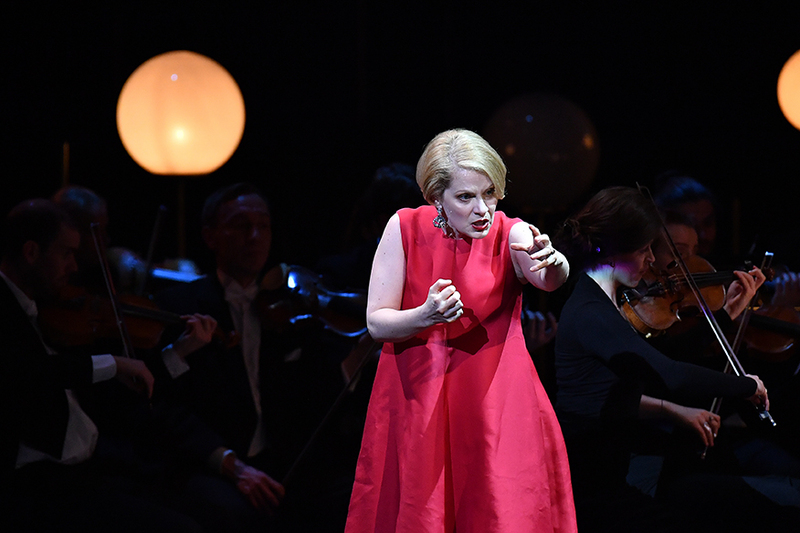 The award for Female Singer went to Swedish soprano Malin Byström (recently seen in Richard Strauss's Salome at Covent Garden, see my review), and Polish tenor Piotr Beczała was awarded the Male Singer award, whilst the Readers’ Award went to soprano Pretty Yende, who received more than 10,000 votes online. The Conductor Award went to Vladimir Jurowski, who conducted the Brett Dean's Hamlet at Glyndebourne, which received the World Premiere Award [see my review of the touring production of the opera]. The Director Award went to Mariusz Treliński, the Designer Award to Paul Steinberg (who designed the Rossini Semiramide at Covent Garden, see my review). The CD (Complete Opera) Award went to Erato's recording of Berlioz' Les troyens, conducted by John Nelson, with Joyce DiDonato, Michael Spyres and Marianne Lemieux [see my review]. I will also be writing about the event for the Russian Art & Culture website.